In ODD SQUAD: WORLD TURNED ODD, agents Oona, Olympia, and Otis accidentally change the past and undo every odd case Odd Squad ever solved. The agents embark on a mission across time to set things right, using a variety of math skills and teamwork. Airs on WXXI Kids 24/7 TV 21.4/Cable 1277/1278. You can watch Friday, Saturday and Sunday at 7pm. 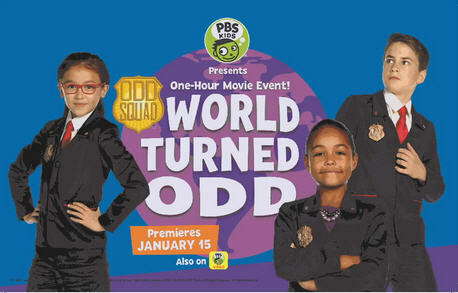 Do some investigative work on your own and learn a little more about the ODD SQUAD from Agent Olympia’s behind-the-scenes show, ODD TUBE. Get ready for your missions when you build your skills playing Sector 21. Can you find all the hidden creatures?